Today I was in the mood for muffins. Now I recently picked up a bag of flaxseed meal, and discovered that it’s a natural appetite suppressant. Did you know that? It was news to me. And this morning the boys and I decided that banana muffins sounded good, so the result was this recipe with bananas, flax seed, and my beloved whole wheat pastry flour, which is the BEST for healthy baked goods that aren’t heavy. Try them and let me know what you think! In a large mixing bowl, combine flour, flaxseed meal, oatmeal, oat bran, brown sugar, baking soda, baking powder, salt, cinnamon, nutmeg, walnuts, and raisins. In a separate bowl, mash bananas. Then, add egg whites and whole egg, and beat lightly. Add milk and vanilla, and combine well. Spoon batter evenly among 24 muffin cups. Bake for 20-25 minutes or until toothpick inserted in center muffin comes out dry. Serve. We like it with honey! Now John, tell me true…can you make these in a coffee pot? 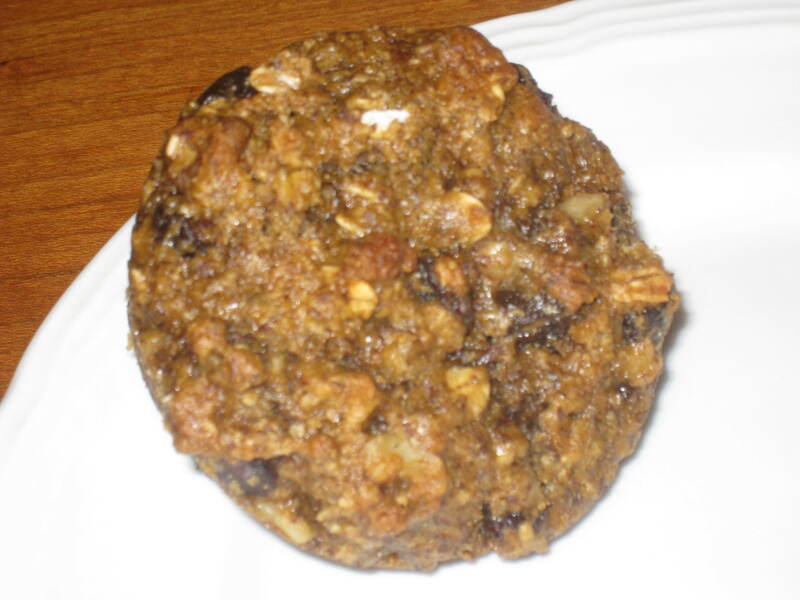 This entry was posted in bread, breakfast and tagged flaxseed, muffin, recipe. Bookmark the permalink. Looks awesome! Will try and let you know. Thanks for sharing! Not big on deserts or breads until my granddaughters are around but the other bean recipe is on my list the week. Seem seems your bean recipes have that Latin- Caribbean style I love so much. As I describe it, hearty foods for hard working people.